This facility has a capacity of 2,276 men. The first Jubilee Weekend there was in March, 2015. Jubilee reunions take place the first Saturday of each month. This facility houses up to a capacity of 2,276 women. The first Jubilee Weekend there was in October, 2016. Jubilee reunions take place the fourth Saturday of each month. The Joe Kegans State Jail is located in downtown Houston and houses approximately 700 inmates. The first Jubilee Weekend is scheduled for the delayed by construction ... please check back. The Formby State Jail is located in downtown Plainview, Texas and houses up to 1,100 men. The Rogelio Sanchez State Jail is located in downtown El Paso, Texas and houses up to 1,100 men. The Lewis unit is a TDCJ long-term prison housing over 2,000 men. It is located about an hour north of Beaumont, Texas. Jubilee #1 is scheduled for the Spring, 2017. The Holliday Unit is a TDCJ intake/transfer unit located in downtown Huntsville, Texas and houses over 2,200 men. The first Jubilee Weekend is scheduled for Spring, 2017. 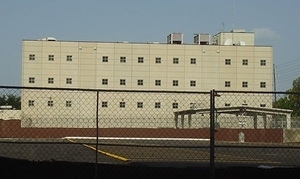 The Reynoldo Lopez State Jail is located in Edinburg Texas and is home to over 1,000 men. Jubilee #1 is scheduled for the Fall, 2017.